“What the heck is Pinterest and how can it help me with online lead generation?” Those are two questions I’ve been hearing a lot on the web over the past week or two. 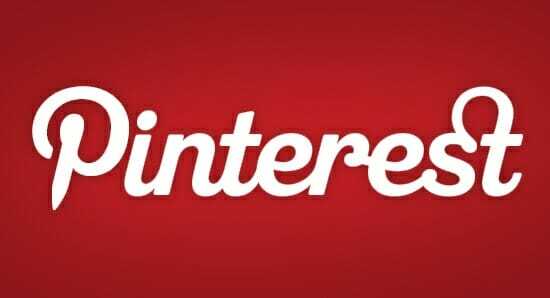 On January 31st a study was released by Shareaholic that showed Pinterest drives more referral traffic than Google+, LinkedIn, and YouTube combined. The amount of leads a company could potentially generate from Pinterest is ridiculously huge, but almost everyone on the internet is perplexed about how to use Pinterest as a great marketing tool. The great thing about Pinterest is that it’s an incredibly simple platform that doesn’t require constant maintenance like Facebook and Twitter. Think of it like a condensed form of Tumblr. The purpose of Pinterest is to just share cool crap that you see on the internet, which means you don’t even have to promote your product directly to get referral traffic to your lead generation pages on the web. Here are 5 tips to help your Pinterest account standout and gain more referral traffic. Pinterest designer and co-founder Evan Sharp sums it up well: “For most consumer brands, the idea behind your brand makes sense on Pinterest.” Since you’re not supposed to blast pictures of your products on Pinterest, try to think outside the box and pin images that capture a lifestyle and/or the essence of your brand. Pinterest calls for a more holistic approach to marketing, and it can be more effective and engaging than traditional advertising because the consumers can really see how your brand fits into their lives. For example, Bon Appetit can’t just pin pictures from the website or magazine, but it can pin images of cooking appliances, beautiful kitchen decor, cutlery, dinner parties and delicious creations or recipes–basically anything related to cooking and food. Seeing these culinary items will continually drive home the Bon Appetit brand, thus making pinners more familiar with and more likely to trust the brand, visit the website and maybe even subscribe to the magazine. On your page, you can curate as many boards as you like. Pinners can choose to follow none, a few or all of your boards, so don’t be afraid to be adventurous and curate a wide array of boards–the point of Pinterest is to explore and discover new things, so eccentricity is appreciated and encouraged. If you own a hotel, post pictures of landmarks near the location, food from local restaurants and even pieces from local artists. Own a restaurant? Post pictures of the farm where the meat is raised, the appliances and gadgets used in your kitchen or anything related to the name of the restaurant–for example, Panera could have a board devoted to beautiful artisanal breads. If you’re in fashion, you can pin new trends, fashion sketches, pictures of fittings and shots from runway shows. Beyond pushing one’s products, you also can use Pinterest as a way to convey your company culture–post pictures of the office, the mascot, people’s cubicles, lunch breaks and office events. Fans are interested in these details, and this imagery helps to humanize the brand. For a look at what some brands are already doing on Pinterest, check out the roundup below. Perhaps they’ll inspire your own boards. West Elm: The furniture brand posts images of various rooms–bedrooms, bathrooms and kitchens–to inspire the interior designer in you. By showering you with beautiful homes, it gets you thinking about nesting without taking an overtly sales-y approach. Gap: The fashion company pushes the envelope and goes a bit into promotional territory. It’s Holiday Gift Guide board is a collection of beautifully designed ads with marketing copy, a la the in-store signage. On a “wintry’ board, there’s a collection of images of snow and icicles, interspersed with Gap’s own puffer jackets. And there’s a board devoted to people wearing Gap, from Gap models (like Amy Poehler and Will Arnett) to everyday consumers. Etsy: When your website is a marketplace for creative and adorable goods, Pinterest is your social network soulmate. The brand pins images of “handmade weddings,” stationery, fashion, gift ideas, “cool spaces” and holiday decorating tips. Rent the Runway: The fashion-rental site groups its boards into occasions–bachelorette party, fall wedding, dance party, New Year’s Eve–and each board contains various “looks” for that particular event to help you get inspired and achieve an appropriate look. Birchbox: The beauty subscription service pins close-ups of made-up hair, eyes, lips and painted nails to show various looks that can be created with makeup. There’s also a board devoted to food, since a girl has to eat. Millions of people use Pinterest to keep track of objects they love, places they enjoy, foods they devour and things that inspire them. Therefore, you can view it as a sort of focus group. Look at the pinners who follow your brand and see what they’re pinning and who else they’re following. They’re volunteering a lot of information about their interests, passions, dreams and sense of humor in a more natural way on Pinterest than they would on say, a survey or even on Facebook, where they have to manually enter “sarcasm” or “travel” as an interest. Use this information to your advantage to glean insights about your target consumers. You can ask fans to pin pictures of themselves with their favorite product of yours and tag you, and then you can easily repin those photos onto a VIP board–it’ll give a shoutout to these fans and show potential customers that your current users really like using your product. If your company hosted an even recently, encourage people to pin and tag the photos as a sort of crowdsourced scrapbook. And around the holidays, encourage them to pin a “wish list” board to curate the gifts they’re hoping for. We’ve talked about crowdsourcing and asking people to tag you in their pins. The next step is to run a contest on Pinterest. Since the site is relatively new, there aren’t that many case studies, but one company recently did a particularly good job harnessing the power of Pinterest. From December 14 through 21, Land’s End Canvas‘s “Pin It To Win It” campaign asked users to create a Pin It To Win It pinboard (in the women’s or men’s apparel categories) and pin 10 to 20 images from the Land’s End site or repin them from the Land’s End Pinterest page. Once your board was complete, you were to email the URL of your pinboard to Land’s End for a chance to win one of 10 $250 gift cards–this was your official “entry” for the contest. A search on Pinterest shows that there were around 200 boards created for the contest, with each containing at least 10 to 20 images, which means a lot of Land’s End merchandise was injected into the Pinterest feed at no cost. Running contests like this is a great way to expose your brand and products to a large audience, given the viral nature of these images and the engaged Pinterest audience. There are a lot of inspiring things on the web, and you can create a sort of mood board for your company, pinning things that are relevant, interesting or inspiring to you brand and your team. Pin logos and websites with good design, clever copywriting, images of possible team outings (bowling night or karaoke, perhaps), colors to figure out your new advertising palette or use it to brainstorm an upcoming campaign. By browsing Pinterest, you might even see items that could inspire your company’s next big idea, so keep that Pin It button handy. This entry was posted in Lead Generation System on February 3, 2012 by Gabriel Buck.